Mr. Octavian Rau was appointed as ANRCETI Director for a four-year term of office, through Government Decision no. 720 of July 13, 2018. Mr. Rau was born on August 2, 1981 in village Ciuciulea, Glodeni district. In 2003 he graduated from the Free International University of Moldova, obtaining a Bachelor's Degree of Law. He is married. Prior to his appointment at ANRCETI, he worked for 13 years (2003-2016) at the National Anticorruption Center, and during the timeframe 28.02.2016 - 02.09.2017 he worked as a Director of Department at State Enterprise "CRIS Registru". Mr. Andrei Muntean was appointed as Deputy Director of ANRCETI, for a four-year term of office, by Government Decision no. 991 of November 21, 2017. Andrei Muntean was born on April 12, 1977 in town Donduseni. 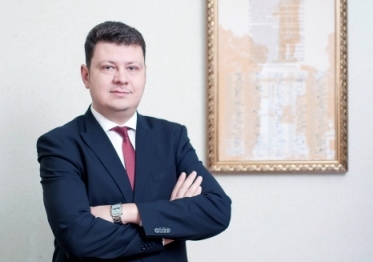 In 1999 he graduated from the State University of Moldova, obtaining a Bachelor's Degree in Law. He is married. 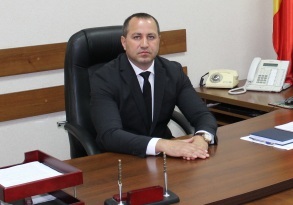 Prior to being appointed at ANRCETI, he worked at the Ministry of Justice of the Republic of Moldova (1999-2000), from March 2000 to November 2017 he worked in the electronic communications sector. He holds the title of Master in Information and Communication Technology. Marian Pocaznoi was appointed Deputy Director of ANRCETI for a 4-year term of office, by Government Decree no. 1053 of September 14, 2016. Marian Pocaznoi was born on January 4, 1981 in town Falesti. In 2003 he graduated from Moldova State University, Faculty of Journalism and Communication Sciences and in 2007 - the Faculty of Law of the same university. In the timeframe 2012 - 2015 he undertook postgraduate studies at the Academy of Public Administration in Moldova, with a Master's Degree in political science. He is married. In the timeframe December 1, 2015 - September 15, 2016 Marian Pocaznoi served as Head of the Monitoring and Control Department of ANRCETI. Priorly to his employment with ANRCETI, Pocaznoi had worked for 12 years (2003-2015) within the Broadcasting Coordinating Council (BCC), in various positions: main specialist, consultant to BCC council, editor in chief of BCC journal "Panoramic TV", member of BCC and BCC Chairman (2011 - 2014).